Dato' Seri Dr. Wan Azizah binti Wan Ismail is a Malaysian politician serving as the Deputy Prime Minister of Malaysia and the Minister of Women and Family Development. She is the first woman to hold the position of Deputy Prime Minister in Malaysia. Currently, she is also the President of the Pakatan Harapan coalition as well as the President of the People's Justice PartyParti Keadilan Rakyat (PKR). 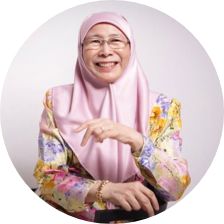 Apart from being a member of parliament, Wan Azizah is a qualified ophthalmologist who graduated from the Royal College of Surgeons in Ireland where she was awarded a gold medal in obstetrics and gynaecology before graduating as an ophthalmologist. She also served as a government doctor for 14 years before becoming a patron of the National Cancer Council (MAKNA). Following the dismissal and arrest of her husband on 20 September 1998, Wan Azizah became leader of the fledgling Reformasi movement. She first led the Social Justice Movement (ADIL), a civil rights NGO, before helping to establish the Parti Keadilan Nasional on 4 April 1999. The establishment of the party saw Wan Azizah elected as the first party president. On 3 August 2003, Wan Azizah brought the party into a merger with the older Malaysian People's Party (or Parti Rakyat Malaysia) which saw the establishment of the People's Justice Party and was elected as the president of the newly merged party. The 62-year-old Parti Amanah Negara strategic director holds a Bachelor of Science degree from the University of Birmingham and a Master of Science degree from the University of Surrey, United Kingdom. He received his doctorate in Medical Science (Toxicology) from the Imperial College (St Mary's Hospital Medical School) in 1993. 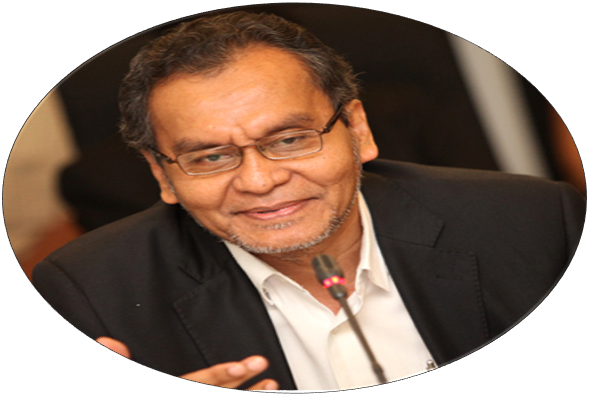 Dr Dzulkefly served as a lecturer at the Faculty of Medical Sciences, Universiti Sains Malaysia, in Penang and the Universiti Sains Malaysia Hospital (HUSM), Kelantan, in the 1980s and 1990s. He had been a vocal political analyst and was arrested during a protest against the increase of oil prices in 2008. 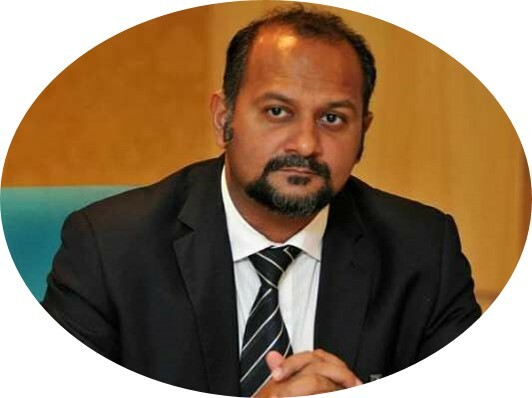 Gobind Singh Deo is a prominent Malaysian lawyer and politician and the Member of Parliament for Puchong, Selangor. He is also the national legal bureau secretary of the Democratic Action Party (DAP). He is the son of the DAP politician and lawyer Karpal Singh. He has previously represented Anwar Ibrahim as his lawyer. Gobind was admitted to the Malaysian Bar in 1996, a year after returning from Lincoln's Inn. In 2009 he was suspended from Parliament for 12 months for calling then Prime Minister, Najib Razak, a "murderer" in a parliamentary debate and insulting the deputy speaker. 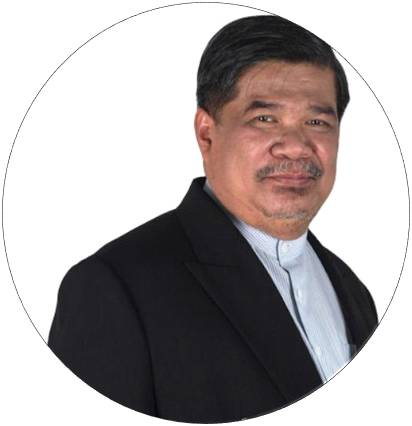 Hailing from Penang, Mr. Mohamad Sabu (Mat Sabu) grew up in the state and went on to further his studies to obtain a diploma in culinary arts at Institut Teknologi Mara, which is now known as Universiti Teknologi Mara (UiTM). The Amanah president first ventured into politics when he joined the Angkatan Belia Islam Malaysia (ABIM) in 1975. Six years later, Mat Sabu joined Parti Islam Se-Malaysia (PAS) as a member and went on to hold various important posts, including his tenure as﻿ PAS' deputy president from 2013 to 2015. The 64-year-old established himself as a fearless politician after he was imprisoned twice under the now-defunct Internal Security Act (ISA) Praised for his down-to-earth stature, Mat Sabu has been referred to as one of those politicians who is capable of pulling crowds to ceramahs. Mat Sabu, who spent 38 years in PAS, led the charge as he was joined by his PAS colleagues such as former PAS vice-president Salahuddin Ayub, former PAS central working committee Dr Dzulkefly Ahmad (now the current Minister of Health), and former Kota Raja MP Dr Siti Mariah Mahmud, among others. The party was first unveiled as 'Gerakan Harapan Baru', but it was eventually rebranded to what we know today as Parti Amanah Negara (Amanah).
' Seri Mohamed Azmin Ali studied at the University of Minnesota and graduated in 1986 from the College of Science and Engineering with a Bachelor of Science degree in Mathematics and Economics. In May 1987, he was awarded a Master of Education in Mathematics and Economics from the College of Education and Human Profession Services, University of Minnesota. Prior to his appointment as Minister of Economic Affairs, Azmin was a representative of both the Federal Parliament as well as the State Legislature of Selangor, having been elected to office since 1999. 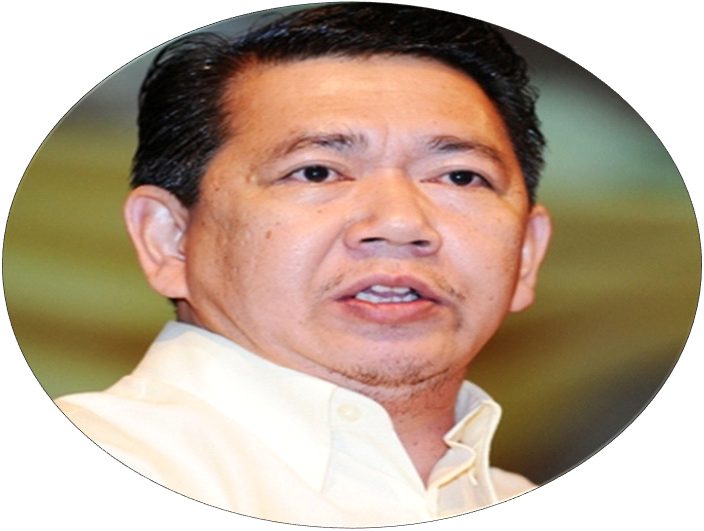 He assumed the office of Menteri Besar (Chief Minister) in September 2014 and has since been instrumental in placing Selangor, the state with the highest GDP in Malaysia, more prominently on the regional and global map. In 2015, he launched a ten-year strategic program to transform Selangor into a Smart State. Among the highlights of his people-centric and developmental strategic thrusts are housing and primary health care for the poor, social financing to promote entrepreneurship for those financially disadvantaged, housing, education and transportation while maintaining Selangor’s competitive edge as the most economically advanced state of the nation and a main drawer of foreign direct investments. ​Rina had served in the banking sector prior to joining politics in 2002. She graduated from Northwood University (Michigan) with a BBA in Banking & Finance in 1997. She was previously the head of the Women's Youth wing for UMNO before joining Parti Pribumi Bersatu Malaysia in 2017. ​Rina is credited with shoring up support at the grassroot level for Pakatan Harap during GE14, especially in the rural areas, hence gaining the trust and confidence of Tun Dr Mahathir. She is known to be an effective organizer who had previously shunned the spotlight. 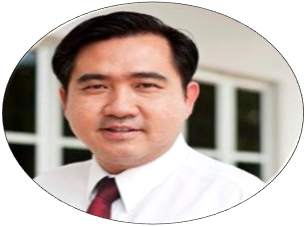 Anthony Loke is the Member of Parliament of Malaysia for Seremban, and a senior official in the Democratic Action Party (DAP). He is also the Member of the Negeri Sembilan State Legislative Assembly for Chennah, and acts as the leader of the Pakatan Rakyat coalition in that chamber. ​Loke graduated from Universiti Kebangsaan Malaysia in 2000 with a degree in development science and a Master's Degree in Public Administration from Universiti Malaya. 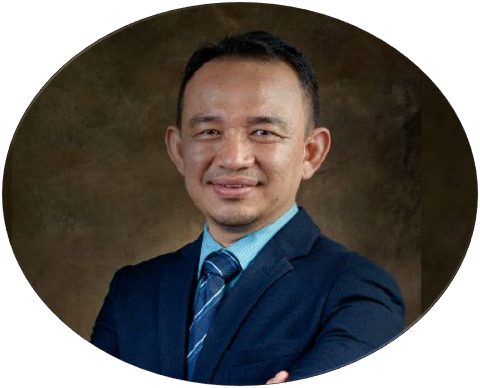 Dr. Maszlee Malik is a politician from Parti Pribumi BERSATU Malaysia (PPBM) and was elected as the Member of the Parliament (MP) from Simpang Renggam. Before being elected, he taught at the International Islamic University Malaysia and studied Islam and the Middle East. Apart from speaking fluent Malay, Arabian and English, he also speaks moderate French and German and simple Chinese and Hokkien. He is the only Cabinet member with a Routledge published book on Islamic governance. He did his major in Islamic studies in Jordan and Universiti Malaya. In 2007, he obtained his PhD in Public Policy Studies from the University of Durham. The 44-year-old was teaching as an Assistant Professor in the Department of Political Science at (IIUM) and is an advisor to several civil society groups such has Ikram, IDEAS Autism Centre and Downs Syndrome educational centre (ORKIDS). He is also a researcher for Penang Institute, Institute for Democracy and Economic Affairs (IDEAS) in Malaysia and Institute of Southeast Asian Studies (ISEAS). Mr. Lim Guan Eng is a Malaysian politician who is the Finance Minister of Malaysia and the Secretary-General of the Democratic Action Party (DAP) since 2004. He also served as the Chief Minister of Penang between 2008 and 2018. 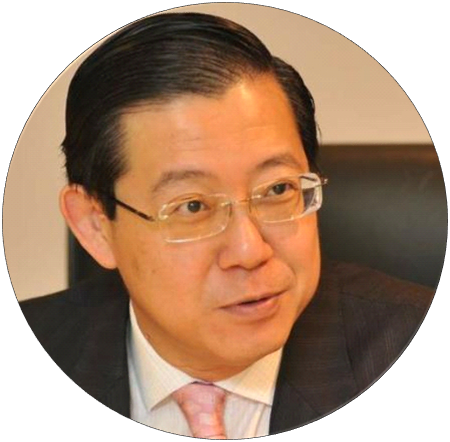 During Lim's tenure as Chief Minister, Penang maintained its rank of being top among the list of investments in Malaysia, attracting RM12.2 billion worth of total capital investments as of 2010, which accounts for 25% of total investments in Malaysia. Consequently, in 2011, Penang was the top in manufacturing investments in Malaysia for the second consecutive year, with RM9.1 billion in total. In a new indicator of total investment however, which comprises manufacturing, services and private sectors, Penang ranked second in Malaysia after Sarawak in total investments, with the total amount of RM14.038 billion. Consequently, the public debt in Penang has decreased by 95% from RM630 million in 2008 to RM30 million at the end of 2011. Penang is currently the second highest GDP per capita in the country. Tan Sri Muhyiddin Yassin was Deputy Prime Minister of Malaysia from 2009 till 2015, Deputy Chairman of Barisan Nasional and Deputy President of the United Malays National Organisation (UMNO), the main component party of the current Opposition (Federal government then), Barisan Nasional (BN) coalition from 2009 till 2016. 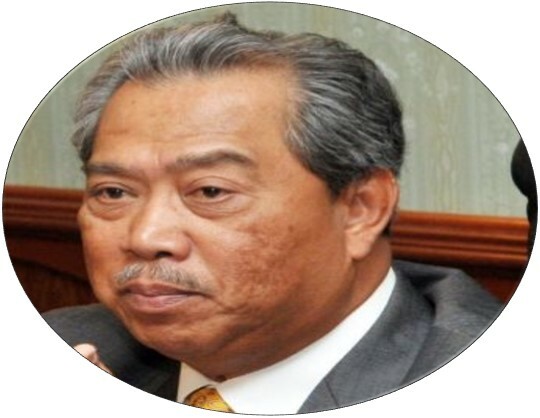 ​Muhyiddin has held several different federal government cabinet posts as Minister of Youth and Sports (1995–1999), Minister of Domestic Trade and Consumer Affairs (1999–2004), Minister of Agriculture and Agro-based Industry (2004–2008) and Minister of International Trade and Industry (2008–2009). He was appointed Deputy Prime Minister, and Minister of Education, by Prime Minister, Najib Razak in 2009. During Najib's mid-term Cabinet reshuffle on 28 July 2015, he was dropped from his position as Deputy Prime Minister. 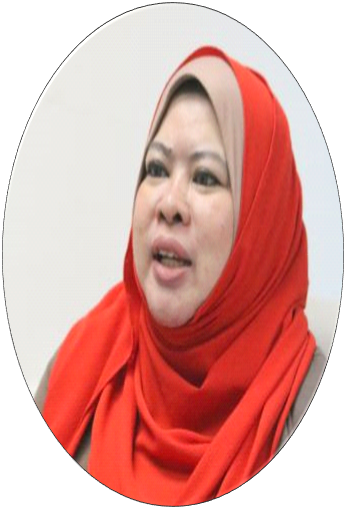 ​ Zuraida holds a degree in Social Science from the University of Singapore. Prior to her career in politics, she had spent time in the private sector in the field of marketing research. In 1980, she had worked as a qualitative research manager at marketing consultancy Frank Small & Associates in Australia before moving on to Chuo Senko Avertising (Japan) as a marketing research and accounts planning manager. In 1998, she took on a role as a training and motivational consultant to organisations such as Petronas, cosmetics companies Oriflame and Nutrimetics, major Japanese chemicals firm Shin-Etsu, town councils, as well as other products, marketing, and advertising firms. 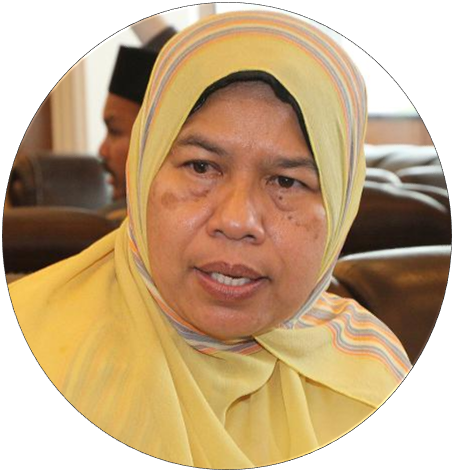 The former PKR Wanita chief is also president of Women’s Institute Research Development and Advancement (WIRDA) which offers counselling and protection to single mothers, youths, refugees and Muslim converts, besides sitting on a number of charitable boards and associations. M. Kulasegaran s/o V. Murugeson, commonly referred to as M. Kulasegaran, is a Malaysian politician and current Member of Parliament for Ipoh Barat, Perak. He is the National Vice-Chairman of the Democratic Action Party (DAP), a component in the Pakatan Harapan (PH) government coalition. After completing his BA (Hons) Barrister at Law from Lincoln’s Inn, London, he established Kula & Associates, which started operating on May 1, 1985. 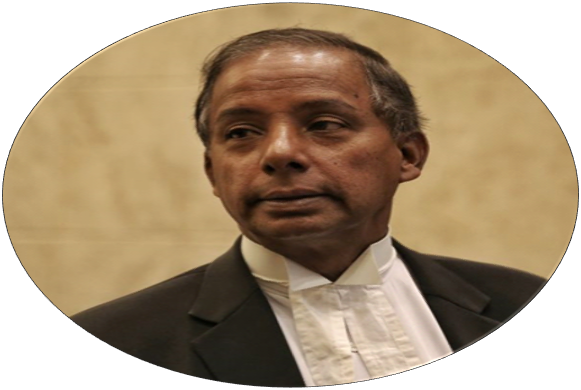 He was called to the English Bar in July 1982 by the Honourable Society of Lincoln’s Inn, thereafter he was admitted and enrolled as an advocate and solicitor of the High Court in Malaya in 1983. Kulasegaran was first elected to Parliament in a 1997. Kulasegaran is an ethnic Tamil and has voiced many issues affecting the Malaysian Indian community. Mr. Salahuddin was a former member of Pan-Malaysian Islamic Party (PAS) in the Pakatan Rakyat opposition coalition for two terms from 2004 to 2013. He was a former vice-president of PAS and also former head of PAS's youth wing. But he together with a few other progressive leaders referred as G18 was ousted at the party's 2015 Muktamar which has launched Gerakan Harapan Baru that founded the new AMANAH party later.